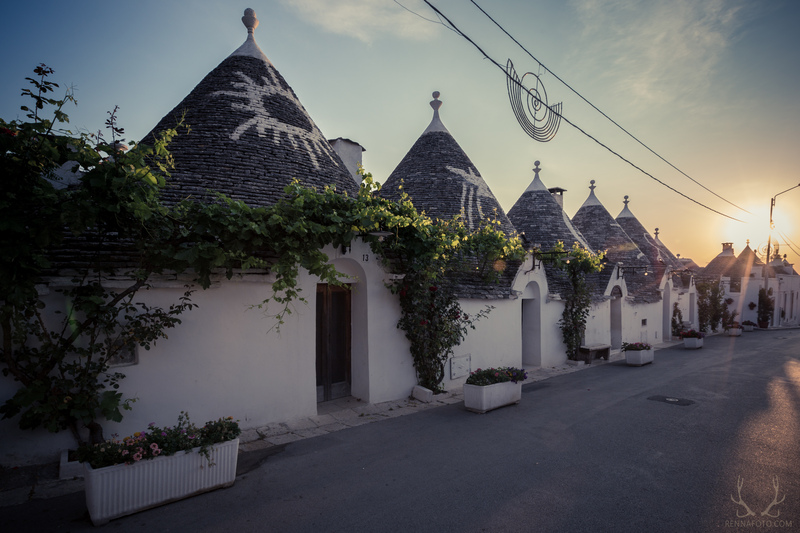 When looking at the sharp, round reef of a long series of small dimensional houses, you might be certain that you just entered the world of fairytales or hobbits. 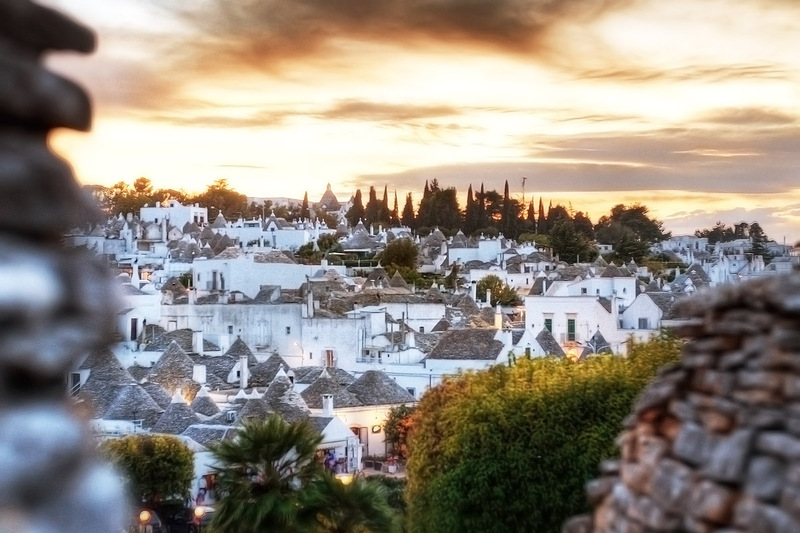 In fact, it is nothing more than the small town of Alberobello located in the Southern Italy – and everything is as real as possible. 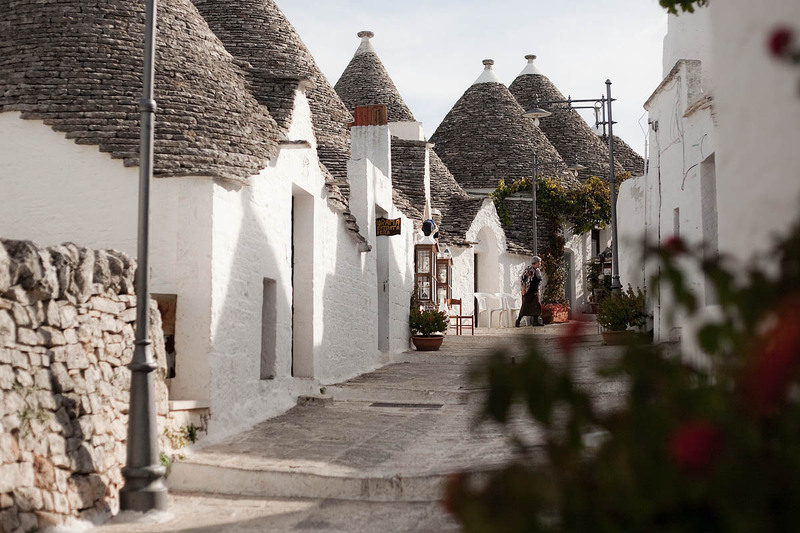 Fragile as they might seem, most of the dwellings were built over 5 centuries ago and they are still inhabited by locals. 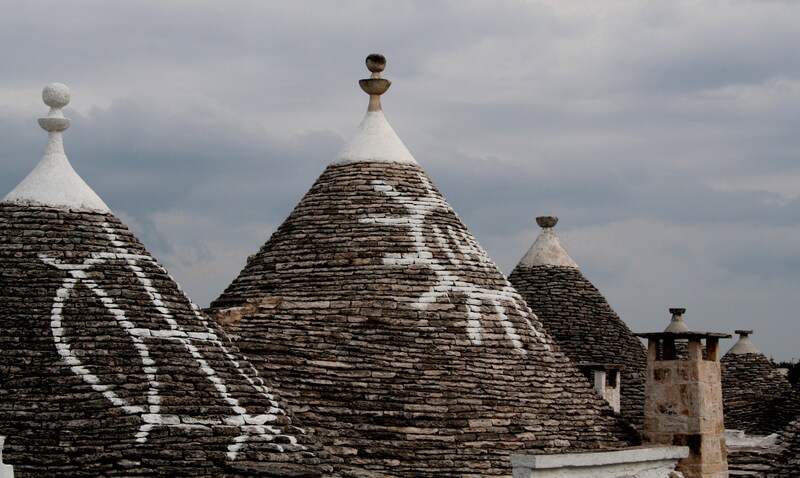 Interestingly, some reef have certain symbols drew on them, from hearts to circles and ancient drawings. 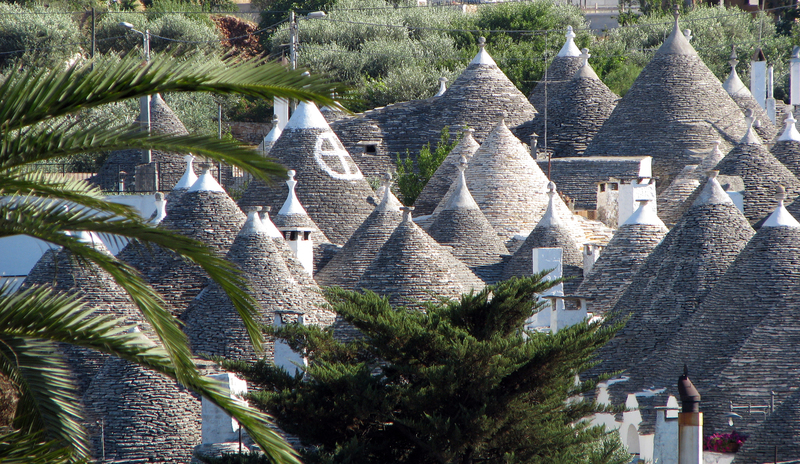 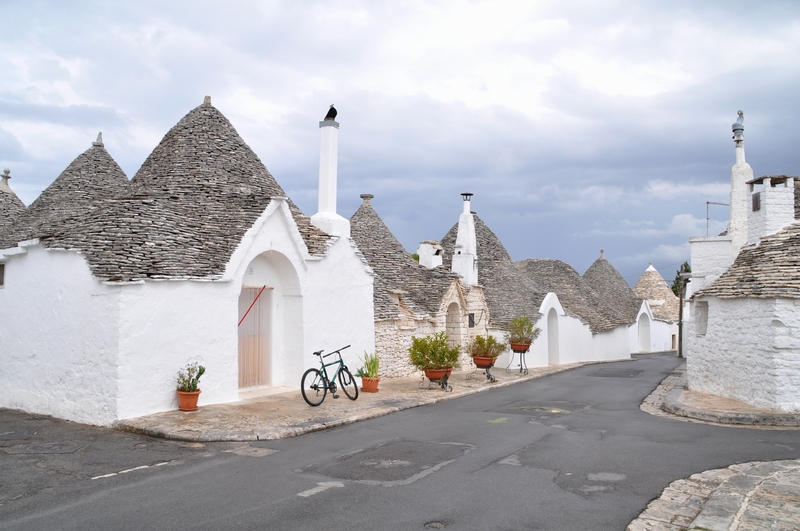 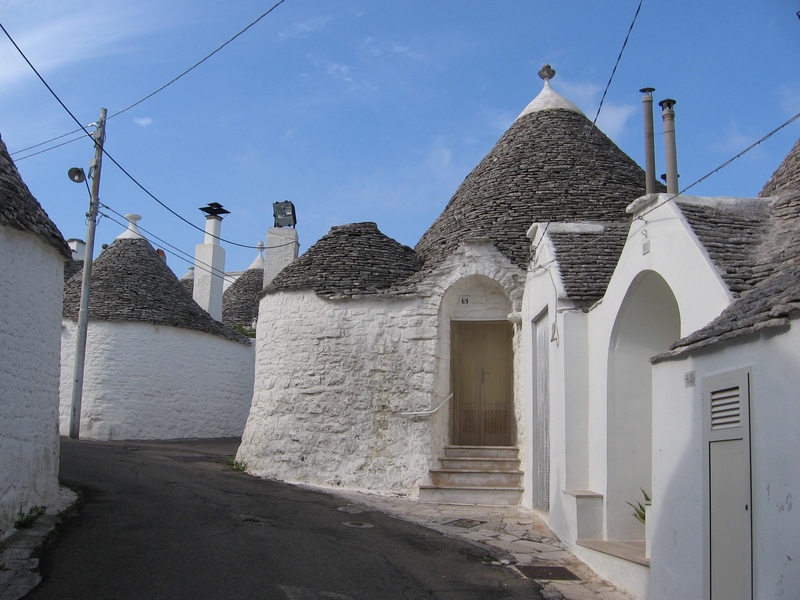 Also, the tiny houses, which are actually called trulli, are stuck to one another and their interior is rounded. 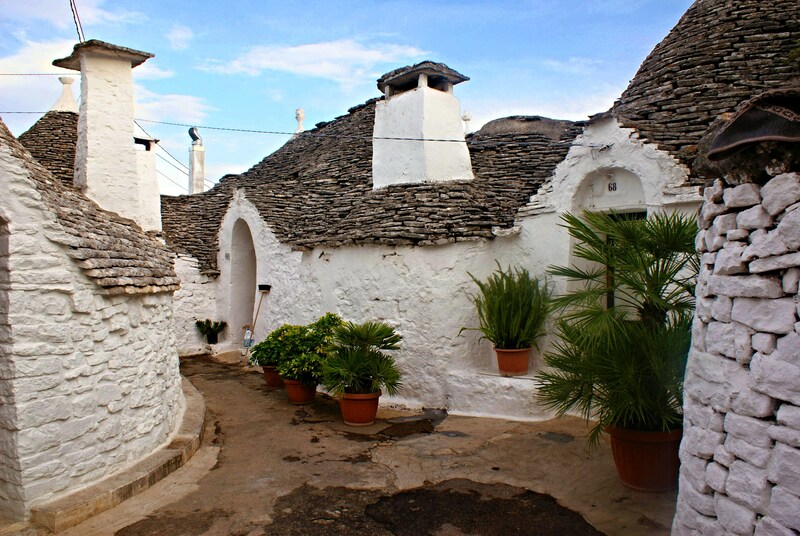 The fireplace is built inside of the walls in order to maintain the heat. 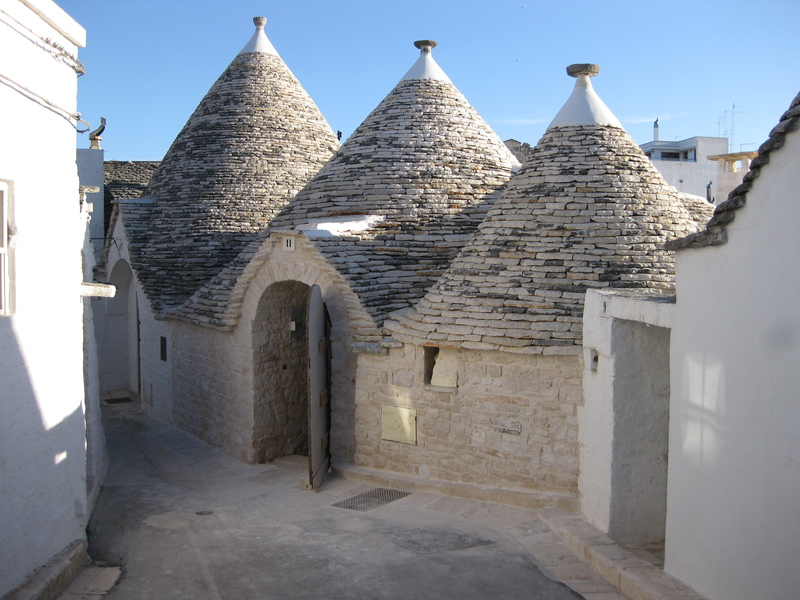 What is even more interesting about the architecture is that none of the trulli have a foundation, nor do they require any mortar. 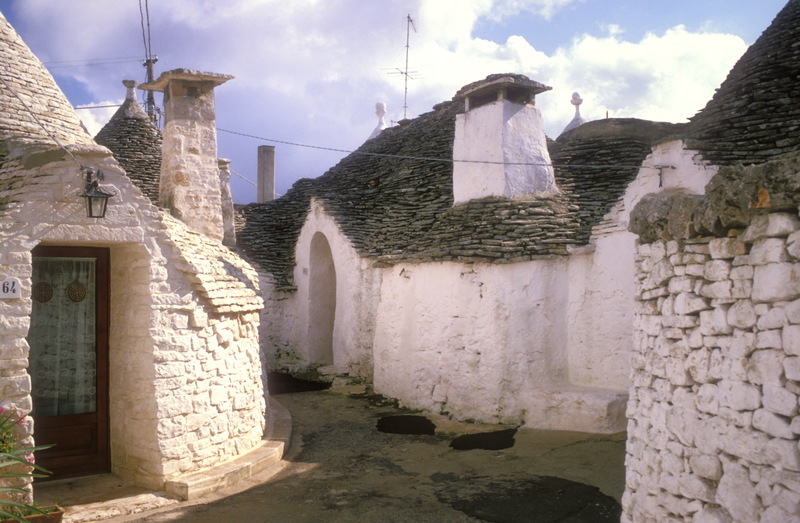 It is a curious matter, considering the fact that, at the time the first houses were built, there had already been discovered much more effective architectural techniques in the area. 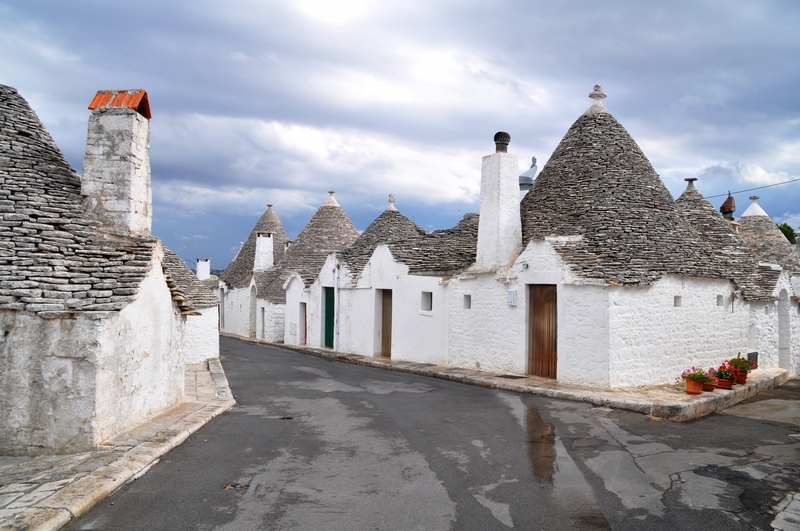 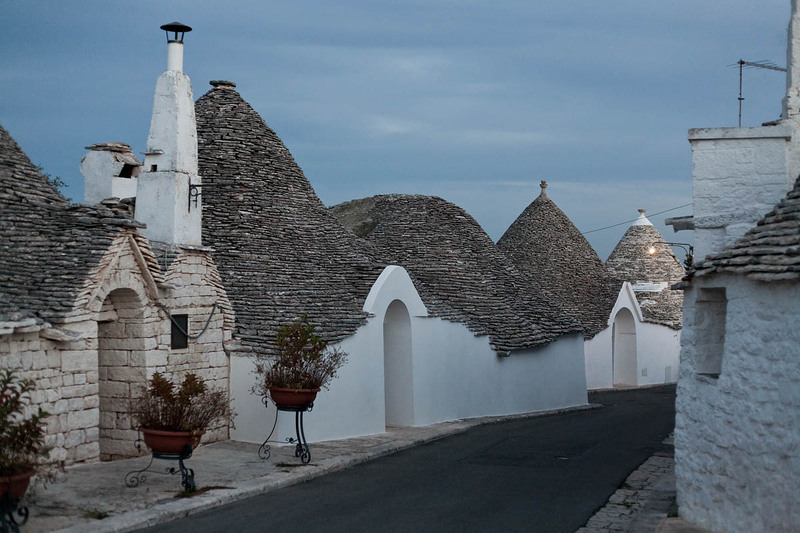 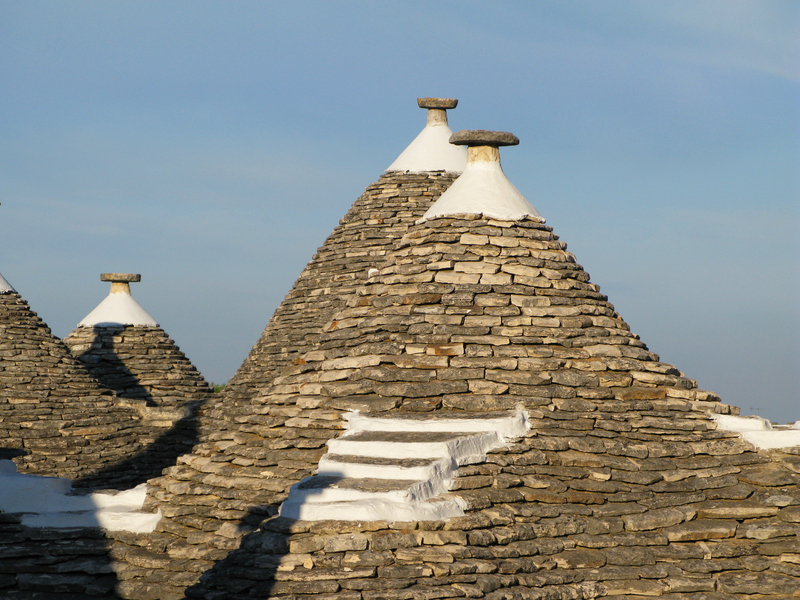 One of the reasons, as legend says, is that if inhabitants who built their houses were dispossessed, their trulli could be destroyed easier. 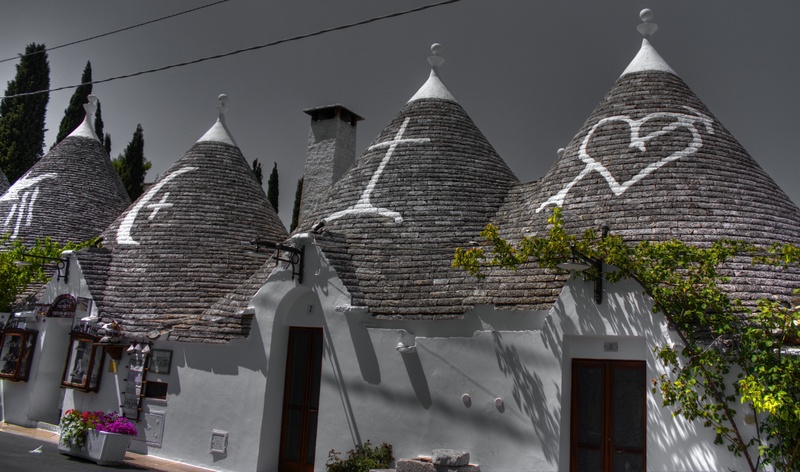 However, there is no evidence to prove whether this is true or false. 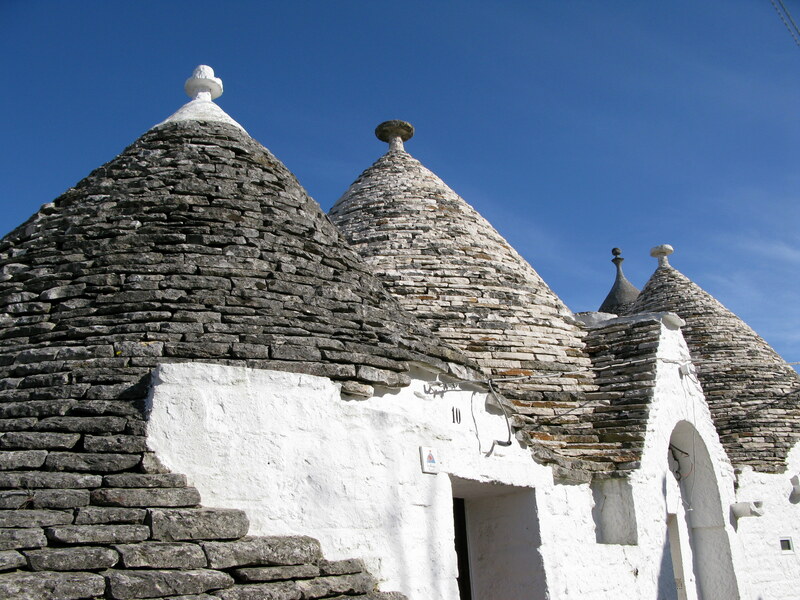 It was not until 1600 that the area – which, at the time, did not have a name – became a village. 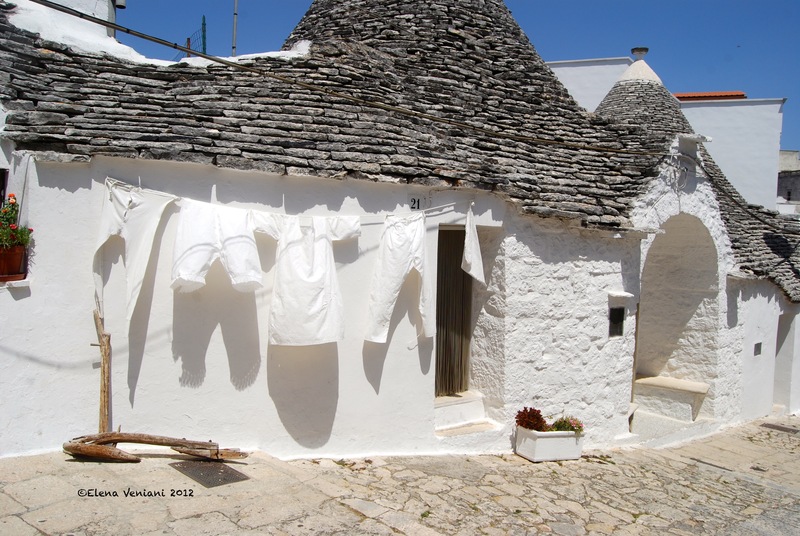 Although there were approximately 50 trulli already built, the appearance of a mill, an inn and a bakery brought many other families there. 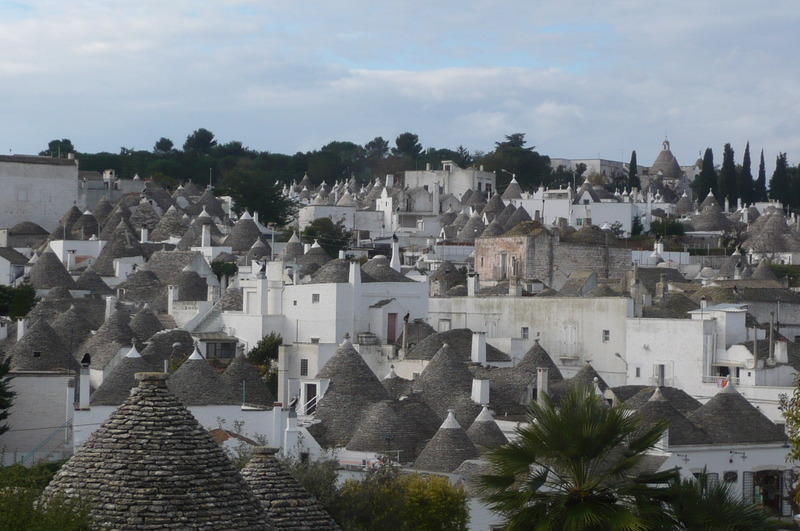 Then, they decided to name the small town Alberobello and so it remained up until today. 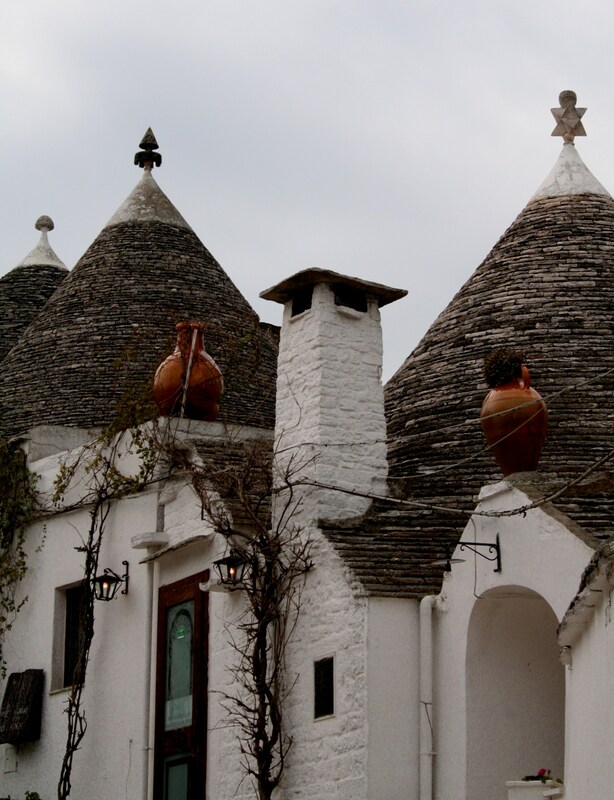 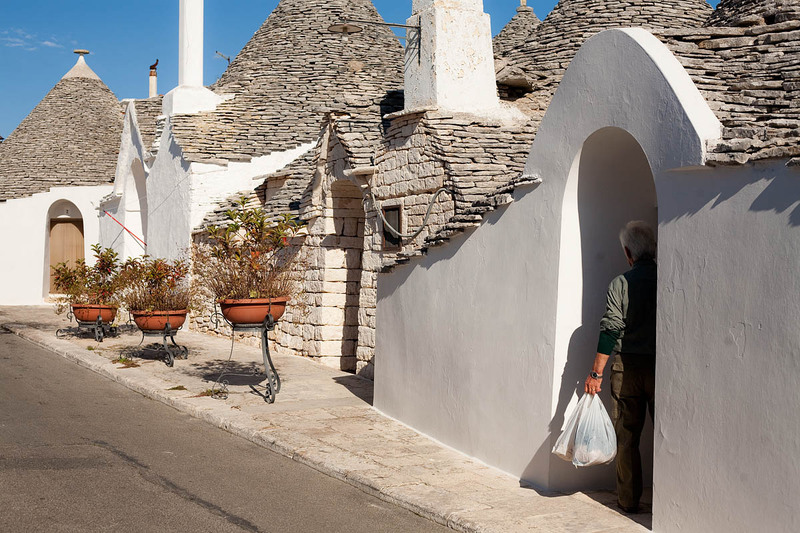 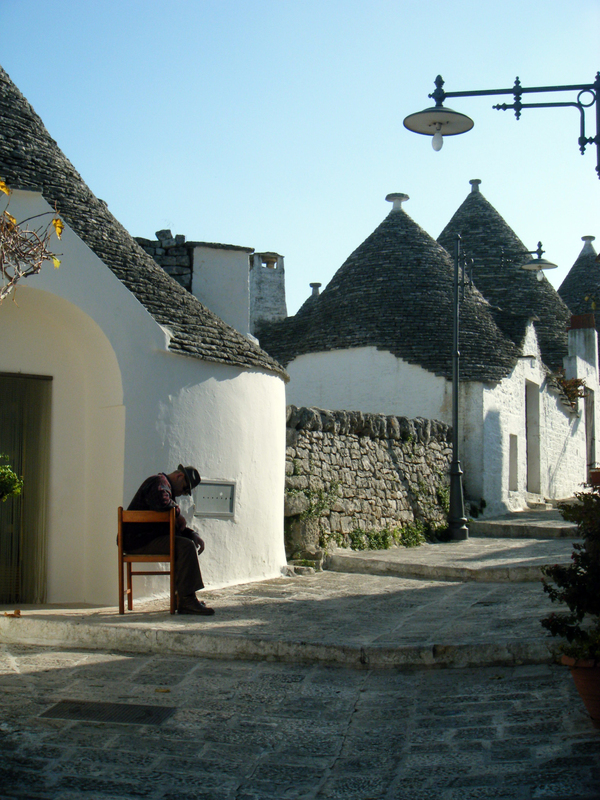 Alberobello can be visited anytime, especially due to the friendly locals ready to welcome tourists in their trulli. 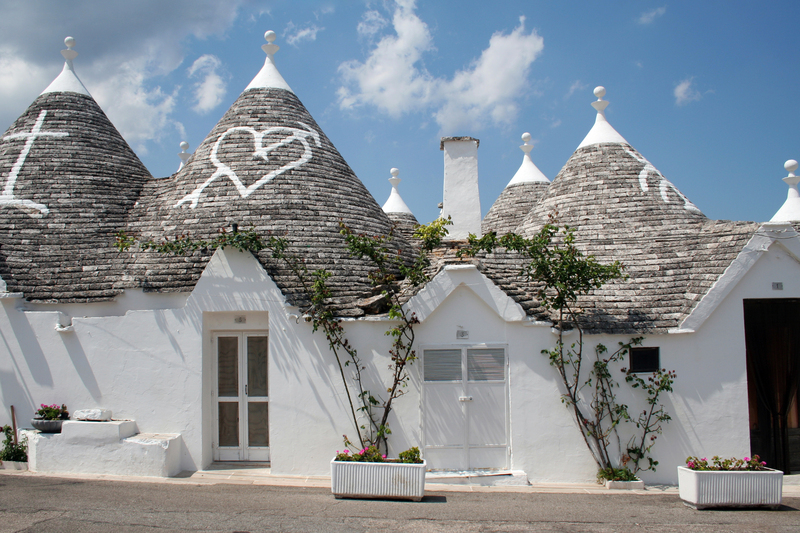 Due to its unique architecture, culture and history, as well as the scenery seen from the hill right next to it, Alberobello is a fairytale-like place that can easily impress any enthusiast who is keen on traveling.